One of the most effective ways to learn about what you want to be when you grow up is to attend a career development session. The Southern Alberta Institute of Technology (SAIT) has exactly that event. Do I actually like this, is it something I would like to explore? 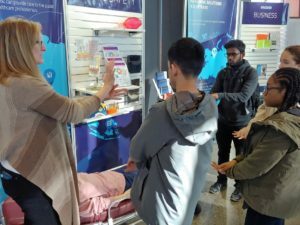 Students from Vista Virtual School (VVS) took the time to explore their potential career options at SAITCity—using hands-on experience to make well-informed decisions with real-world examples and activities. “I wanted more clarity to know which direction I should go in for life in general, or finding a job and for university and what to do,” said Wezi, a grade 10 student with VVS. That learning and clarity is important. 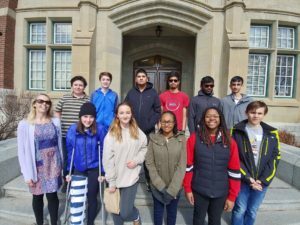 “I wanted to learn about the careers I was interested in, and learn about others I could have a chance in,” said Rulon, a VVS grade 9 student. It’s an opportunity for students to map out their potential career path and to see if the options available at SAIT are a good fit for them. With hands-on learning, students were able to explore a few different career options, using that knowledge to further pique their interests and possible future direction. Shorten the pathway to do what you love to do as a career! Learning the skills is important, so is understanding what you would like to do, and not waiting until the last minute. Having this preparation as they enter high school is valuable, as then a student can prepare and take the courses they need to ensure they have the skills that set them apart. For example, SAIT only accepts approximately 29 per cent of applicants, as the institution is focused on finding the right fit for success and getting a job in their field at graduation. 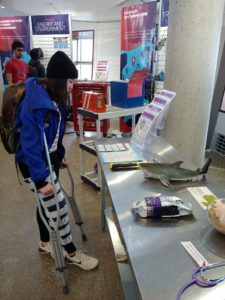 And adding an actual experience that is similar to working in the field, students can figure out how it fits for them before they are further along in their education, and then develop their knowledge through courses, volunteering, practice and even job shadowing and part-time work in their potential field. Targeted towards grade 9-10 students, students are provided information about all of SAIT’s programs, and after completing a pre-planning exploration about their potential career interests, they narrowed down three activities to focus on in SAITCity, using hands-on exploration specific to the program. It is about finding what you enjoy doing, and figuring out if this is something you want to challenge you in the future. 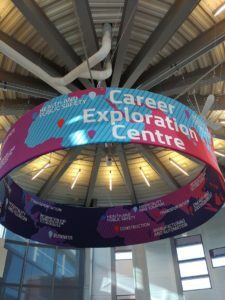 Photos from SAITCity Career Exploration event on March 28.